Air Canada announced a new a fleet plan providing for international growth for both its mainline carrier division and its new low-cost leisure airline to be launched in 2013. The airline will add two new Boeing 777-300ER aircraft to the mainline carrier's widebody fleet in order to pursue strategic growth opportunities for its international network. With the addition of these two aircraft, to be delivered in June and September 2013, Air Canada's Boeing 777 fleet will consist of 20 aircraft comprising the latest generation of 300ER and 200LR models. Air Canada currently operates 56 widebody aircraft and 149 narrowbody aircraft. "The composition of our widebody fleet is an important element of our key priority of leveraging our network to pursue strategic international growth and strengthen Air Canada's position as a global player," said Calin Rovinescu, Air Canada’s president and CEO. "The arrival of these new Boeing 777s, along with the 787 Dreamliners in 2014, will allow us to introduce new routes at the mainline carrier and release aircraft from our existing fleet to our new low-cost leisure carrier. Air Canada's mainline carrier will continue to grow internationally as we launch new routes, while the leisure carrier will pursue opportunities in markets where we are not adequately cost competitive under the mainline brand." Air Canada on Sept. 20 said it will hire more than 900 employees over the next 12 months to meet its planned workforce requirements at the main airline. In addition, 200 new jobs will be created for flight attendants and pilots at the airline's new leisure carrier. 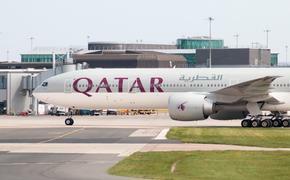 New international services to be introduced with the addition of two Boeing 777 aircraft at the main network carrier will be announced at a future date, as will further details of its leisure carrier low cost unit. Consistent with Air Canada's focus on pursuing international growth opportunities and its on-going cost transformation initiatives, the airline and Sky Regional Airlines, Inc. (Sky Regional) have agreed to the transfer of 15 Embraer 175 aircraft, the smallest aircraft in Air Canada's fleet, from Air Canada to Sky Regional to operate the aircraft on behalf of Air Canada under the capacity purchase agreement between the parties. The aircraft will continue to be operated on short-haul regional routes, primarily from Toronto and Montreal to destinations in the northeast United States, under the Air Canada Express banner. The transfer of the 15 regional aircraft will be made between February and June 2013.